This program is for those who would like to learn more about why we become entrepreneurs. 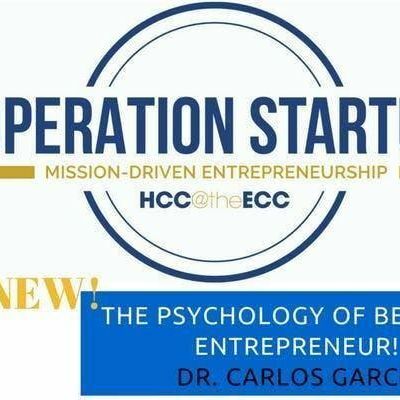 What is the psychology beind the choice to become an entrepreneur. 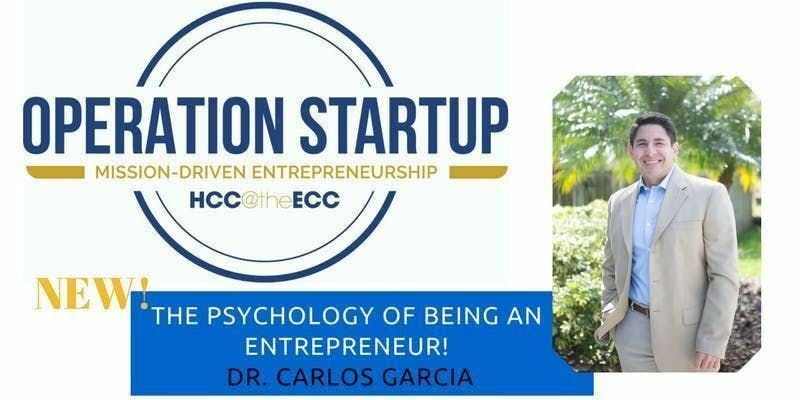 Your facilitator is Dr. Carlos Garcia, a psychology professor and Licensed Psychologist. He is the founder of Tampa Counseling and Wellness, where he provides therapy and coaching services to individuals who want to make a positive change in their life. He received his doctoral degree in clinical psychology from Nova Southeastern University. Before accomplishing his educational goals, he served as a Sergeant in the United States Marine Corps and later went on to serve as a firefighter and paramedic in Florida for 7 years. The workshop would present 1) the challenges faced by entrepreneurs and business owners, 2) how these challenges impact the individual and the business, and 3) strategies on how to manage the stress and difficulties that come with being a business owner.